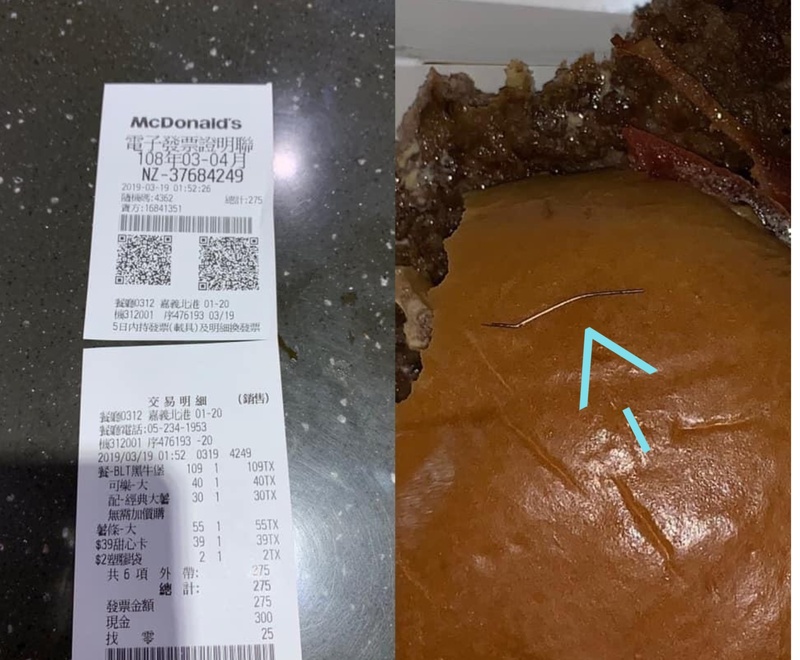 A Mcdonalds customer from Chiayi County have rushed to the hospital after taking a bite on his hamburger. 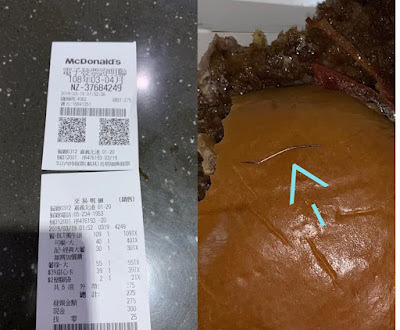 The beef hamburger from Mcdonalds in Beigang road, Chiayi branch have a very sharp metal object which is later described as a bent needle. On his 3rd bite on his meal, he suddenly feel a very sharp object that lacerate his tounge. Employees of the fast food chain immediately send the customer to the nearest hospital. The health department of the country is preparing to impose heavy penalty to the fast food for violating the Act of Governing Food Safety and Sanitation. The penalty or fine can reach from NT$60,000 (Php102k) up to NT$200million (Php370million). Initial investigation that an employee of the chain have used a steel brush in cleaning the containers and a bristle of the steel brush fell into beef patty that cause the said incident.